There is region that covers a large part of the American West, 1/12th the Continental U.S. land mass in fact, that is in a 14 year drought. Researchers from the Jet Propulsion Laboratory and the University of California, Irvine found that more than 75 percent of the water loss in the drought-stricken Colorado River Basin, an area that encompasses vast portions in seven western states, since late 2004 has come from groundwater. 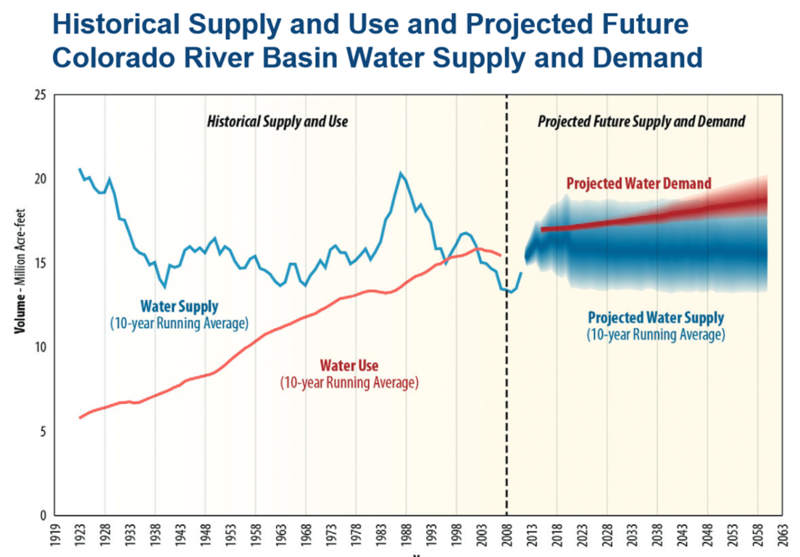 The Report states, “Recent assessment indicates that demand for this renewable resource will soon outstrip supply, suggesting that limited groundwater reserves will play an increasingly important role in meeting future water needs.” The amount of groundwater reduction may pose a larger threat to the water supply that services approximately 40 million people that rely on the Colorado River than was previously thought. Their research showed that the rate of depletion of groundwater storage far exceeded the rate of depletion of the surface water storage reservoirs of Lake Powell and Mead. 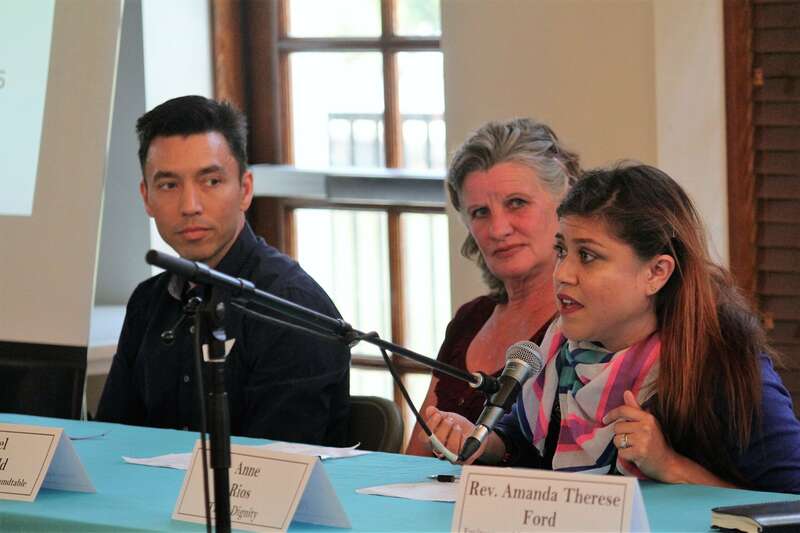 This comes as a stern reminder of the challenges to water resource managers, planners and the general public in the Santa Ana River Watershed that rely on the Colorado River. Overall, this watershed relies upon imported water for about 1/3 of its water supply (One Water One Watershed 2.0 Plan). 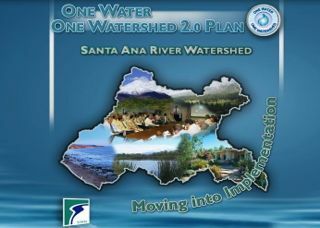 Through an integrated effort by this region’s cities, counties, tribes, water-relates agencies, organizations and other stakeholders, the watershed released the watershed-wide Plan in February 2014, and its first goal is to maintain reliable and resilient water supplies and reduce dependency on imported water. 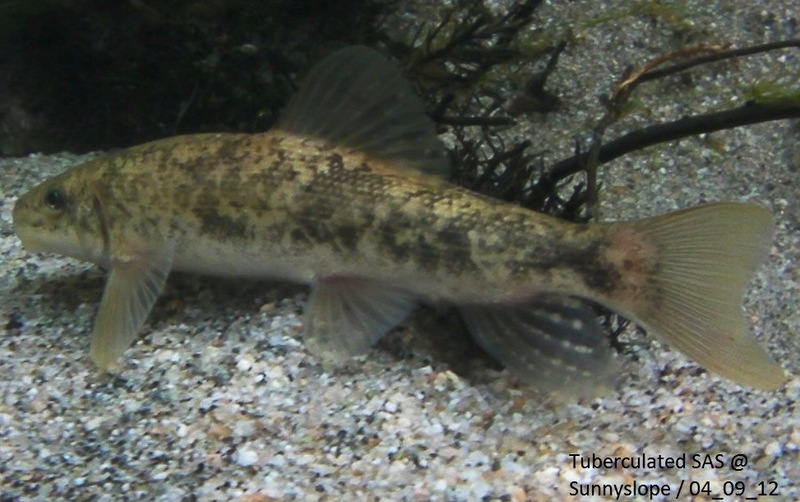 The One Water One Watershed 2.0 Plan also identifies several threats to the watershed, dubbed the “Six Horsemen of the Apocalypse,” and the Colorado River Drought is a piece of the herd. California, one of those seven Basin states, is also experiencing record drought conditions with 2014 projected to become one of the driest years on record. On April 18, imported water deliveries were cut in the state as the Department of Water Resources announced a 5 percent allocation in the State Water Project for the remainder of the year. This is the lowest State Water Project allocation since deliveries began in the 1960s. 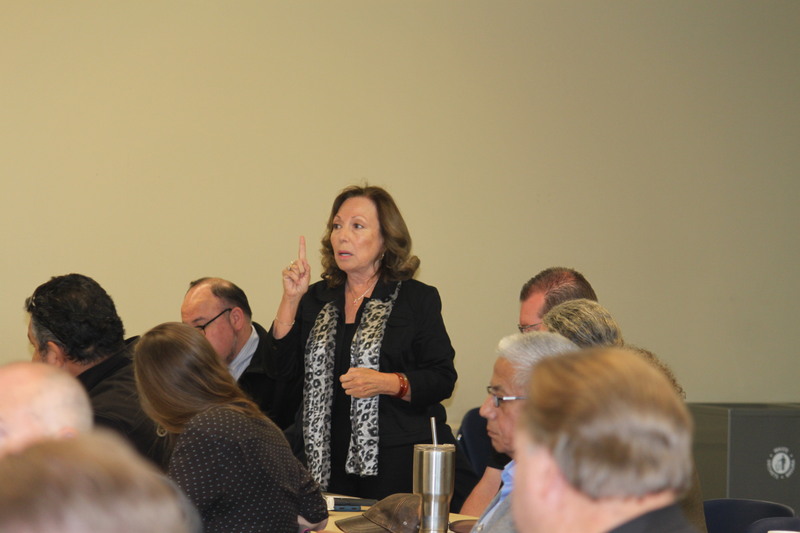 The Bureau of Reclamation (Reclamation), the Federal water management agency that delivers the Colorado River Basin’s surface water to the seven Basin states, has always been able to meet its requested deliveries in the Lower Basin. 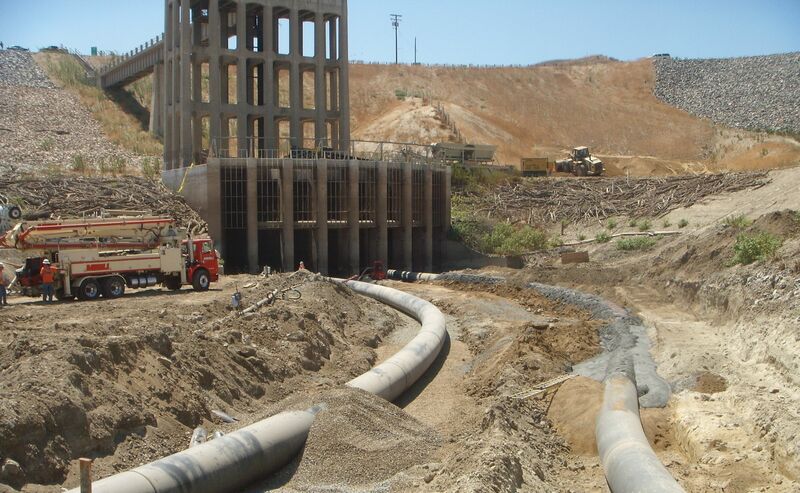 Reclamation ran projections in 2012 that provided a range of outcomes that show the gap between demand and supply. 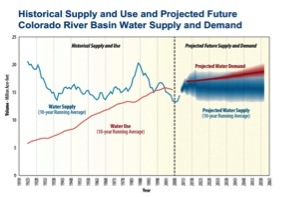 By comparing the median of water supply projections against the median of the water demand projections (medians are indicated by the darker shading), the long-term projected imbalance in future supply and demand is about 3.2 million acre-feet (maf) by 2060 (U.S. Bureau of Reclamation Colorado River Basin Water Supply and Demand). 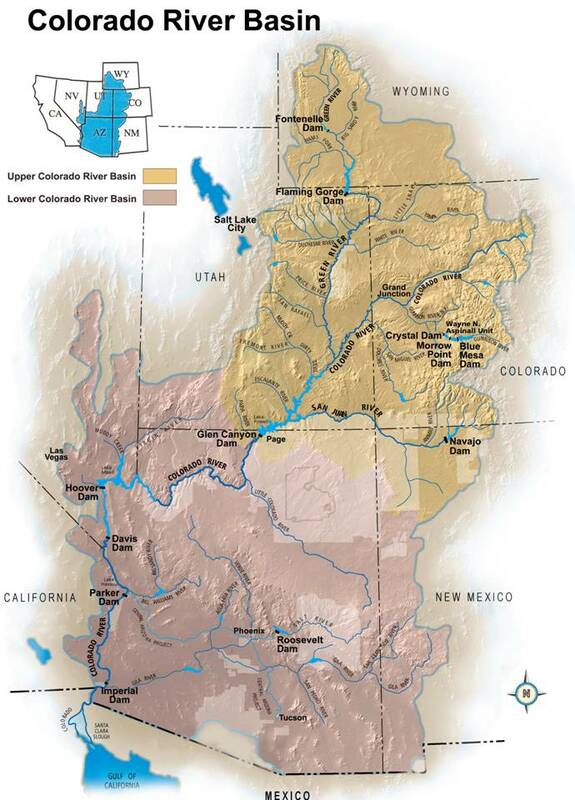 California’s share of the Colorado River supply is 4.4 million maf. 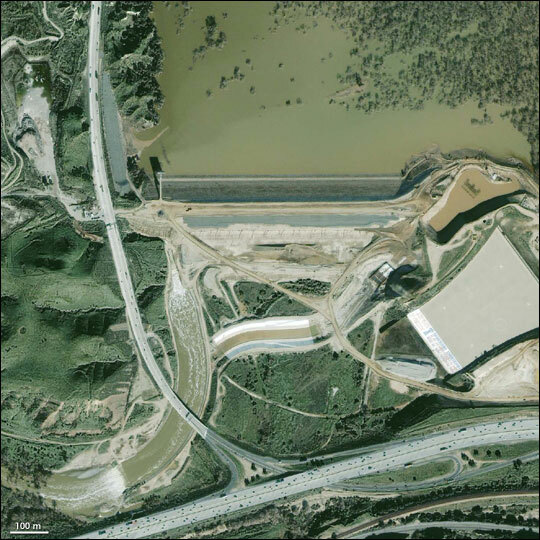 The Santa Ana River Watershed has gotten through the drier years by using water that was stored during wetter years. 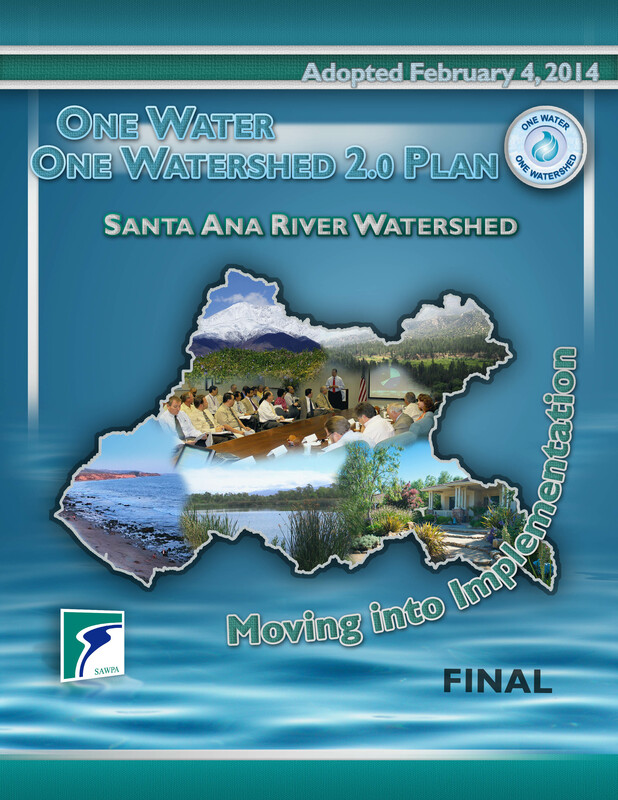 Based on the data from 2010 Urban Water Management Plans, the Santa Ana River Watershed is able to meet its demands in the average, single-year drought and multi-year drought scenarios while maintaining a reliability margin of 10%, or greater, to help offset future unknowns (One Water One Watershed 2.0 Plan). 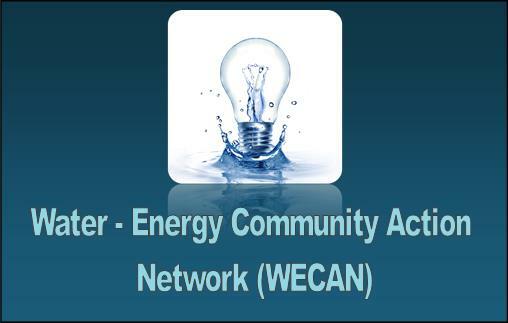 2015 Urban Water Management Plans will be submitted to the Department of Water Resources in over a year. 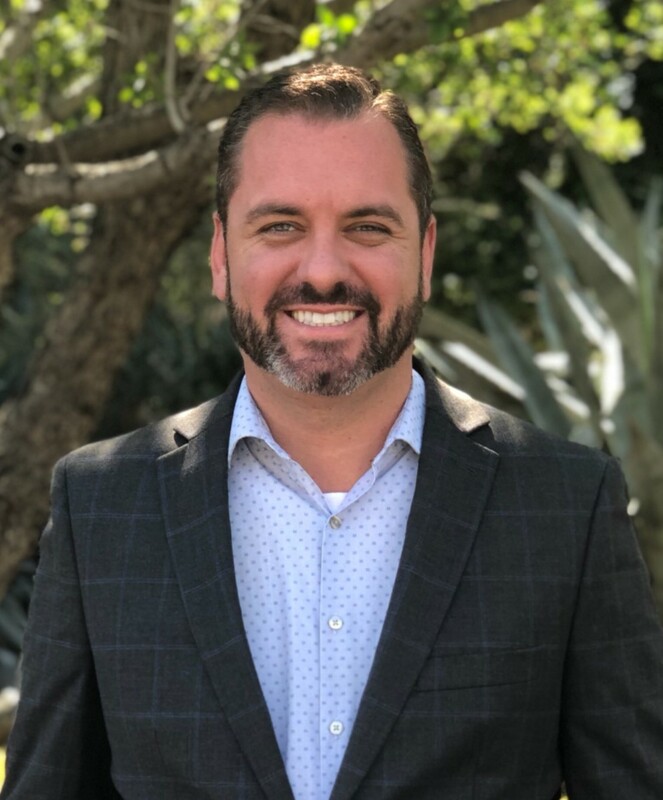 The Jet Propulsion Laboratory and UC Irvine study is an important reminder that the Santa Ana River Watershed faces enormous challenges as it strives to adapt to changing conditions many of which are at an unprecedented scale. For more information, please contact Ian Achimore at iachimore@sawpa.org or (951) 354-4233.